Grape varieties: 90% Tempranillo; 10% Garnacha. These classic Rioja grapes are harvested when they are perfectly ripe and are vinified separately in stainless steel tanks. Fermentation takes place at 28 degrees C approx. The prolonged maceration, undertaken with the skins, ensures the appropriate colour and structure. Appearance: mid to deep mauve red with a violet tinged rim, clean and with good legs. Bouquet: gooseberries, blackberries, raspberries, and black liquorice with balsamic and spicy flavours in the background. This provides a complex and elegant experience in the nose. 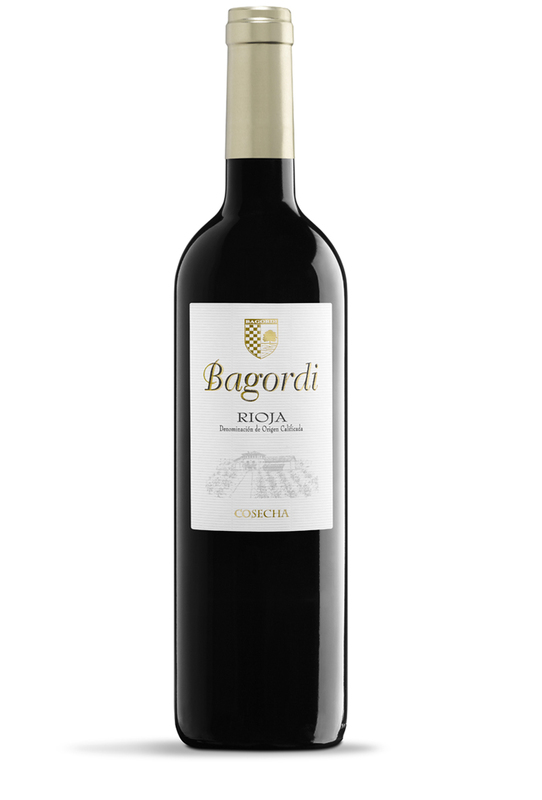 Taste: the lingering presence of fruit, the gentle acidity and the rounded flavours of wood all combine to provide a well-rounded wine. Ideal serving temperature 16 degrees C.